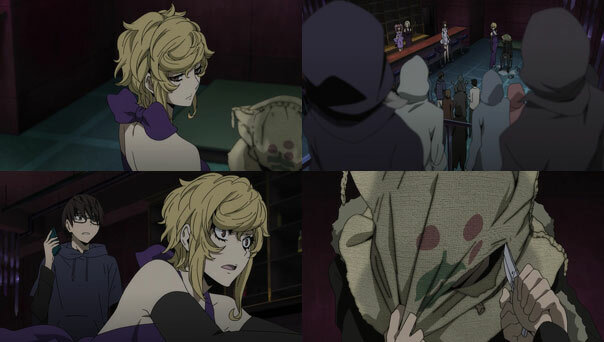 After opening with an “insurance agent” interviewing a guy who apparently sold Orihara Izaya his name, Drr!! 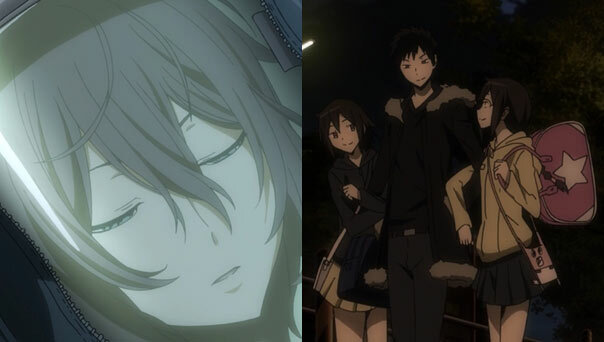 cuts to the familiar cat-and-mouse of Celty vs. Kinnosuke, before she returns home, exhausted and lamenting her police-target status before putting things into perspective: Shinra is in bed convalescing, having been beated half to death by Adabashi (Of course, Celty is also missing her head, so I think she wins the whole despair sweepstakes). While changing Shinra’s bandages, Celty discovers an old scar, which Shinra proceeds to talk about despite the fact he has some mixed feelings about it. He received it twelve years ago in middle school. 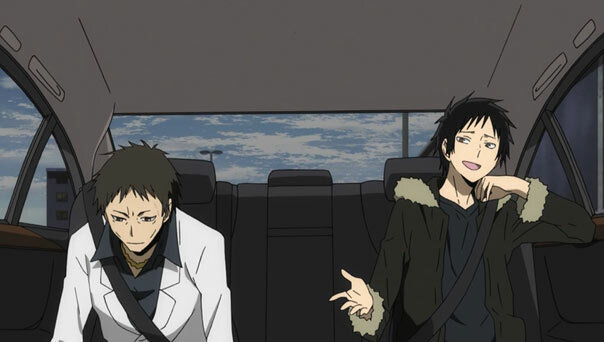 That’s incidentally where and when he first met Orihara Izaya, and learned of his love of observing humans. He got him to join a two-member “biology club”, even though they wouldn’t be doing much biology. It seems they mostly hung out in a lab, collecting money for sports betting. 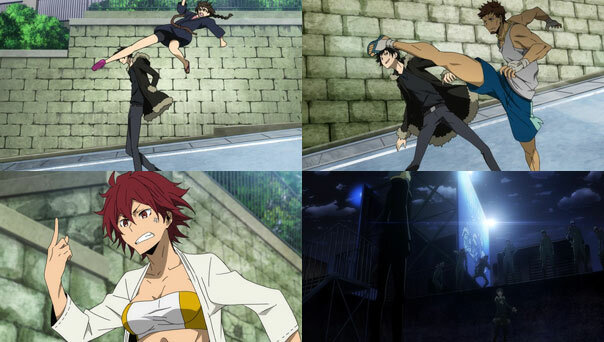 One of their classmates, Nakura, got in too deep and demanded a refund with a pocket knife, but Shinra came between them, getting stabbed in the process. After stopping the bleeding with duct tape (truly a mob doctor in the making), Orihara asks Shinra to tell the police he, not Nakura, stabbed him. In exchange, he’ll make sure Nakura regrets it the rest of his days. It would certainly seem like Nakura regrets a great many things, considering Orihara made him both “Lizard” of Amphisbaena and “Mr. Momui” of Heaven’s Slave, two apparently fictional leaders of the two organizations, fictions whose respective Number Twos (Mimizu and Shijima perpetuate to maintain order. 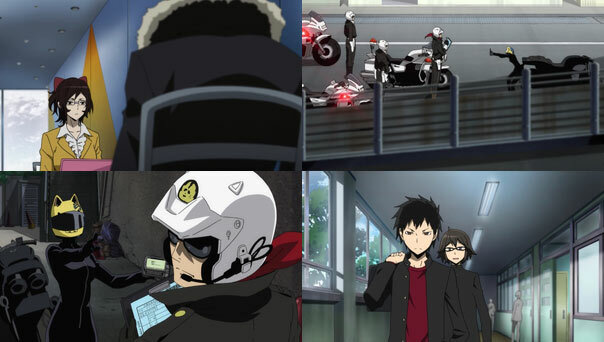 And if there’s ever a gang war between, say, Awakasu and either or both of those organizations, Nakura, not Izaya, will take the heat. 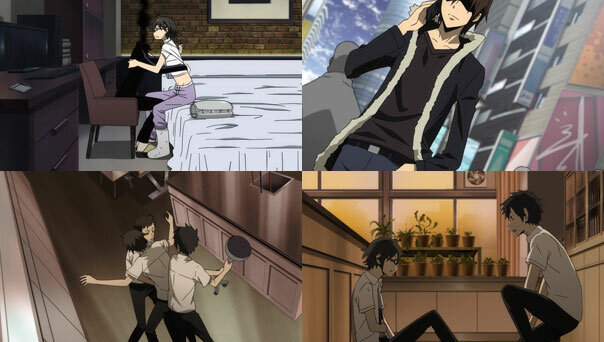 It was the first of many acts by Izaya that could be construed, depending on your perspective, as selfless, thoughtful, or loving acts to protect his friends and family, or more selfish poking and prodding of humanity. Ostensibly, he tortures Nakura to this day for hurting Shinra, and hired Celty to protect his sister, but in both cases those actions served him just as much as the beneficiaries. 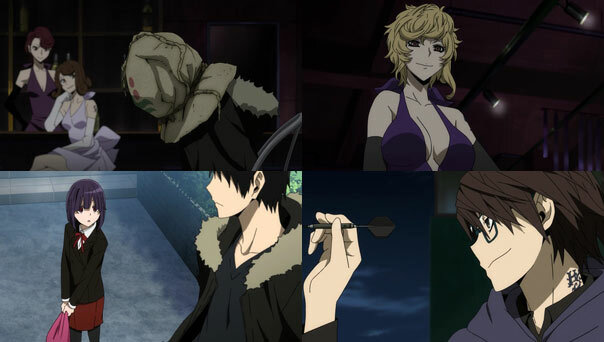 And as Izaya continues to carry Celty’s head around, it would appear his own stabbing by an associate of Yodogiri Jinnai hasn’t discouraged him from continuing his usual habits.